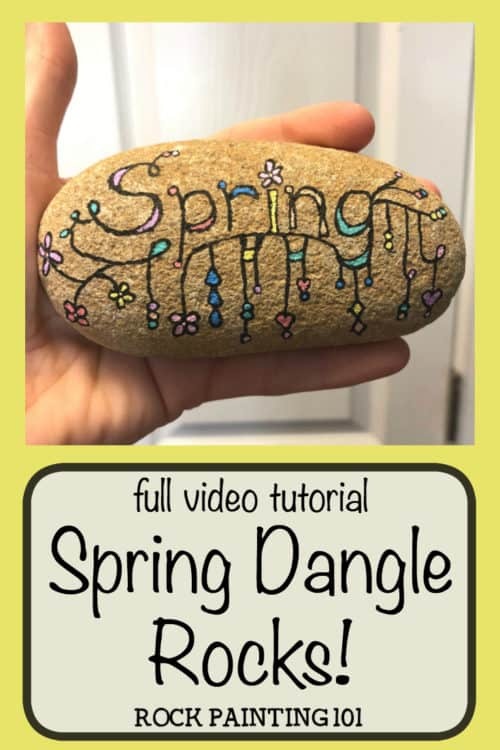 Zendangle Spring Rocks are a fun dangles doodle idea. 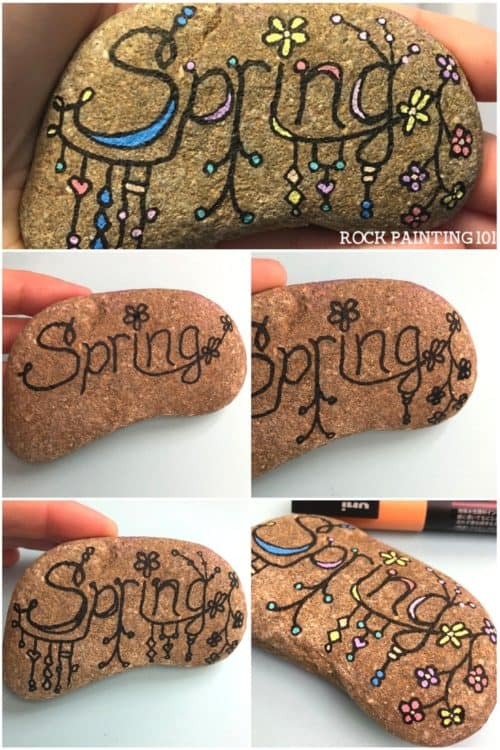 Learn how to create zendangles dangles step by step and enjoy this spring rock painting idea. If you’re like me, and your willing spring to come by painting rocks, you’ll enjoy this one. 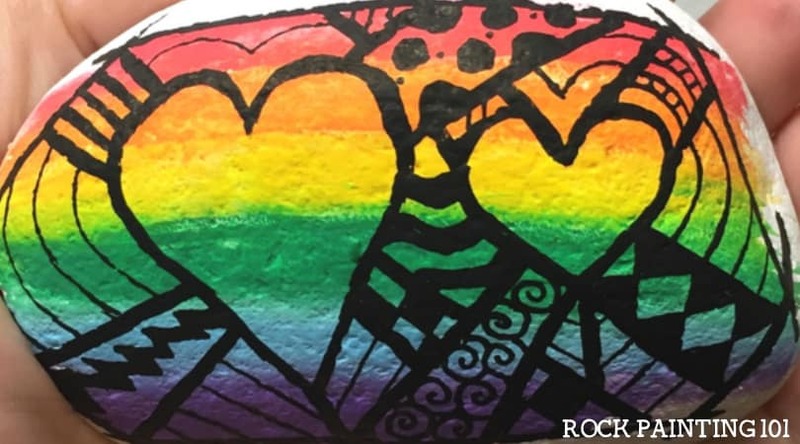 I think that I heard some birds chirping, so it might be working…Yesterday, I created this spring painted rock while watching the snow fall….ironic, I know. I’m loving putting dangles on rocks, it’s such a fun and relaxing technique for me. When I was trying to come up with some spring stone painting ideas, these dangles doodles just kept coming to my mind. The fun flowers flowing from the letters just feels so spring-like! So what better way to create zendangle spring rocks than to just dangle the word “Spring”! You can grab the Posca pens that I used in this spring painting idea here. I am not a huge lettering expert. I start by writing my word onto a post-it or scrap piece of paper. 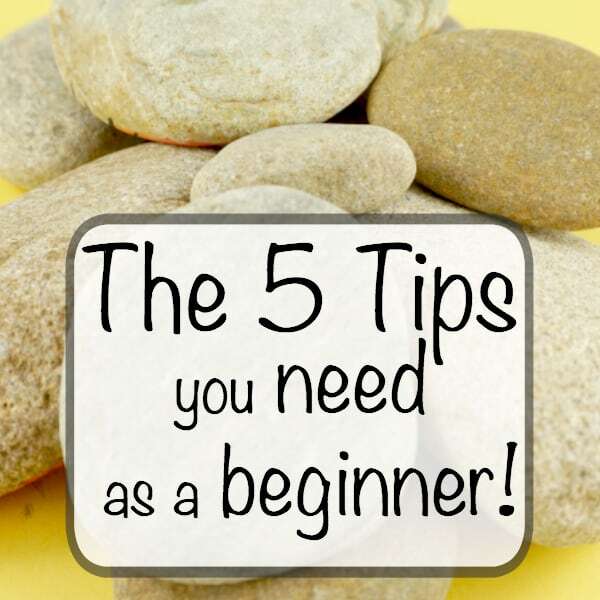 This way I can get my spacing and sizing right before I start my rock painting. Once I like the spacing, I set the paper just under my rock so that it helps to visually write the word onto your rock. 101 Tip! 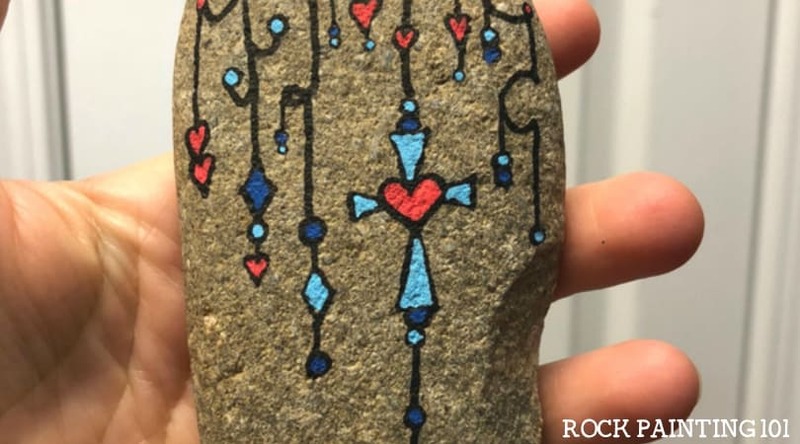 : A Facebook follower suggested using chalk or a charcoal pencil to sketch the letters onto your rock. This is a great suggestion! Write your word towards the top of the rock so you have plenty of room to draw the dangles. Now it’s time to add your designs. There is no wrong way to create zendangle spring rocks. I really like adding little circles to the tops of each letter. Have fun with your design. What elements do you love? If you have a lot of space to cover pull your letters across the rock where ever it looks natural. The trick to creating dangles is to make sure there is something at the bottom “pulling” your line down. If you love the little flowers that I created on my rock, you’ll love this rock too! If you want to add some color to your text, create pockets along the edges of your letters. Once you’re happy with your design, it’s time for the color! Start filling in your dangles. I used these beautiful pastel pens to paint my rock. I love how forgiving this zendangle technique is. 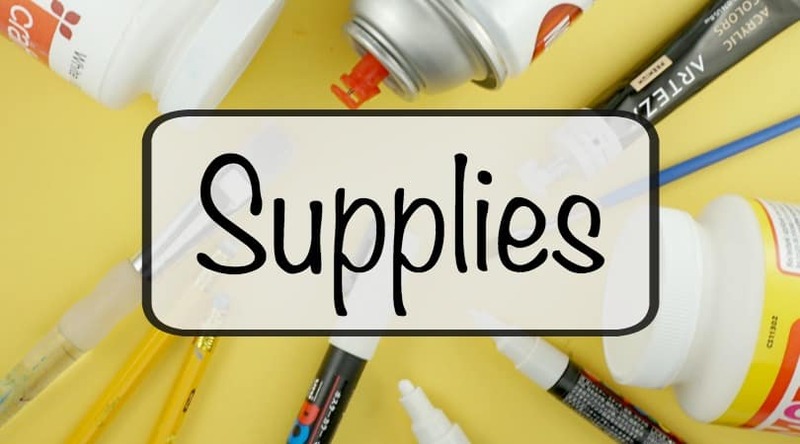 If you accidentally go over your original black line, you can just go back over it with the black pen. For these types of touch-ups, I like to use Micron Pens. They are thinner and will give you a really clean edge. Be careful when using Micron pens on rocks. If you push too hard, you will wear down the tip. 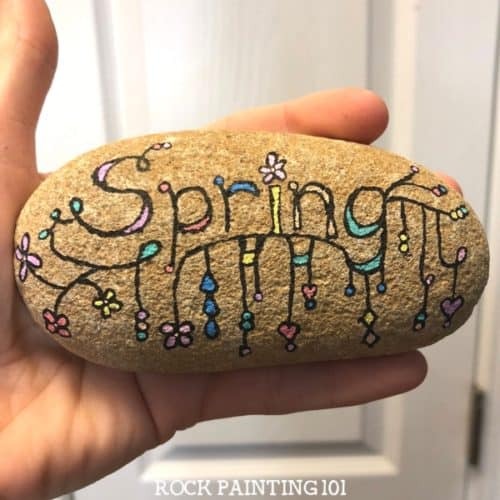 I’m really happy with how this spring rock painting idea turned out! 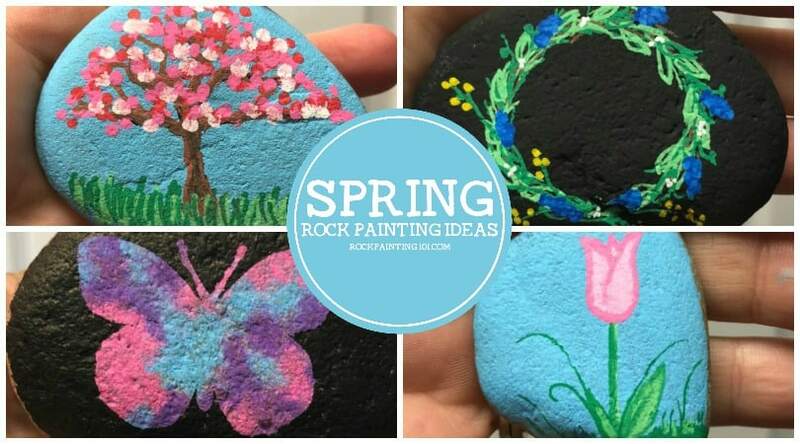 Pin this Spring painted rock to your favorite Pinterest board!